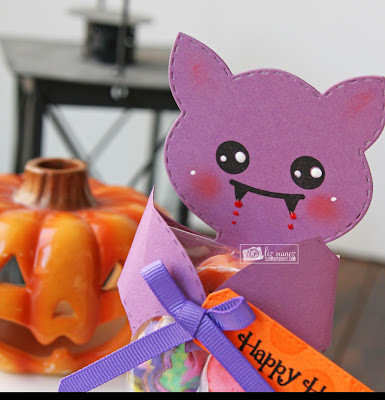 Liz's Paper Loft: MCT August Release Sneak Peek Day 4 ~ happy halloween! MCT August Release Sneak Peek Day 4 ~ happy halloween! 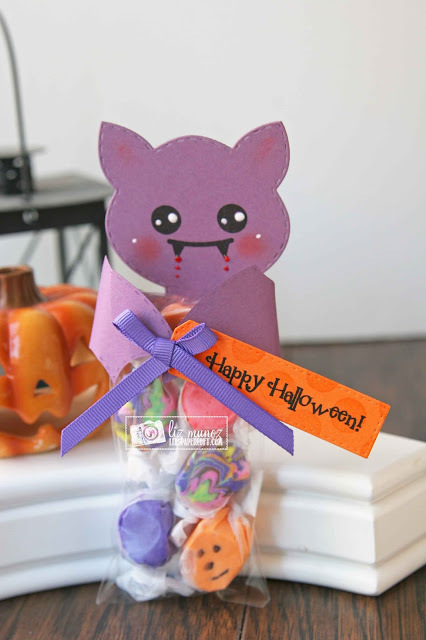 Today I have a fun treat project to share with you using Stitched Bat Die and Bat Sentiments! Don't you just love his fun face! Oh and you know I had to add the fun blood drops!!!! I bet you ♡ this die too! OMG Miss Liz what a FANGtastic Treat you created....Your ideas are quite Spooktacular...and your creative ideas sure makes for one Wicked Awesome Creation!! YOU so ROCK!! Cute idea!! Love the blood drops!! What more can I say but: I'm batty for your treat topper! Love your darling purple bat! Another amazing showcase of the new release! Thank you for the smiles today! That is so adorable. I love this bat, so many great uses. Who doesn't want to get a cute treat?? So fun to see all the different ways to use this bat!! Awesome!! Love how you had his little wings wrap around the treat bag! Oh My Word! I had to laugh at the blood drips...he is a very adorable bat and the way you have him holding the bag is great! Love it. 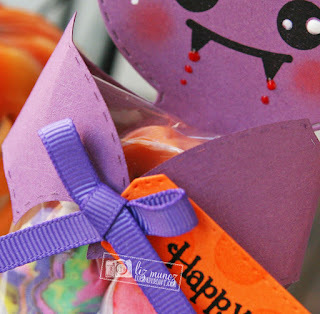 Cute treat box...love the way his wings are folded over the bag! This is serious spooky fun! Too cute to be a bat even with those blood drops. Great treat holder. Oh gosh this is too cute to be a spook! Love that you added in blood drips too! Thanks for sharing hon and have a great weekend! Oh my goodness! This is way to cute to be scary, lol! Love the touch of blood drops as well!